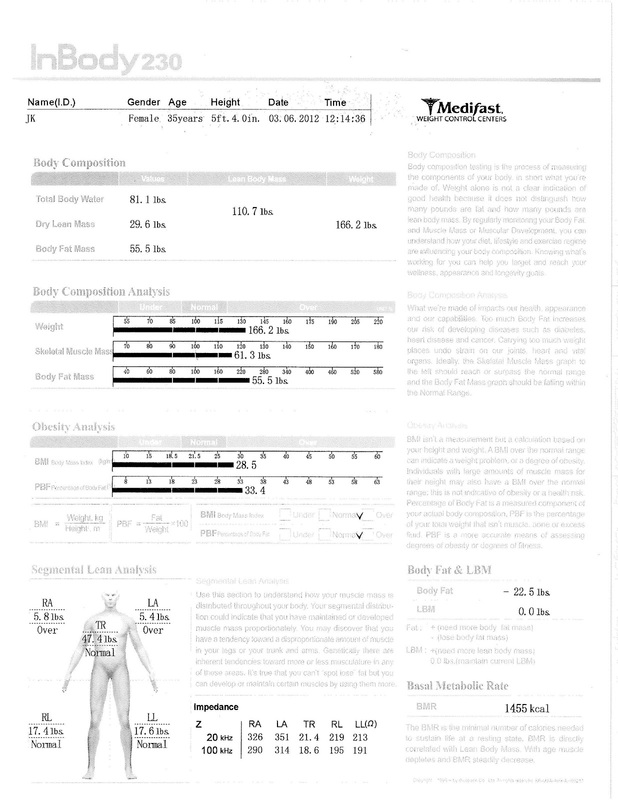 Body composition testing is the process of measuring the components of your body, in short, what you're made of. Weight alone is not a clear indication of good health because it does not distinguish how many pounds are fat and how many pounds are lean body mass. By regularly monitoring your body fat, lean muscle mass/muscular development you can understand how your diet, lifestyle and exercise regime are influencing your body comp. Knowing what's working for you can help you target and reach your wellness, appearance and longevity goals. Holy crap. I lost 4.3 lbs this week (thank you Step class!) for a total of 22.1 since starting Medifast. 42.1 since I started my healthiness journey. My measurements?? 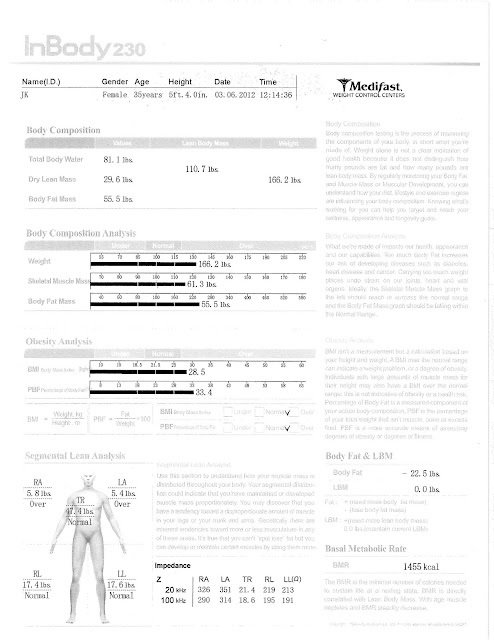 Since my last body comp, I have lost 11.25 inches off my body (on Medifast). I only have 16.2 lbs left to lose. I am a little in shock. A little choked up. I will be at my goal weight by my 36th birthday. I officially started planning our Disney vacation (the only way I would plan it is if I reached or got close enough to reach my goal weight). I never thought any of this was possible. Fabulous Fit Friday: Summer In... March? Fab Fit Friday: Medifast is NOT a "Quick Fix"